My fascination with architecture and the world of design began when I was a child. Born and raised in Buenos Aires, Argentina, I was introduced to the theater by my parents, who were literature aficionados. From those days, I recall seeing the stage sets up-close for the first time and being completely fascinated. Since the sets were created by stage designers and architects, I quickly became captivated with the design profession. Another source of my inspiration was the city of Buenos Aires with its skylines of mansard roofs, with illuminated windows and balconies, and the corner copulas along the wide avenues and city parks. Fashion was also a big part of my early life as I learned to design clothing and to appreciate fabrics and the significance of precision and creativity. By the time I was nine years old, my heart was set on becoming an architect — a dream that I realized when I studied architecture at Arizona State University. I was fortunate to attend the classes of Professor Jeffrey Cook, an avid proponent of environmentally-conscious architecture. From him, I learned that, whenever possible, the architect’s duty is to lead the client through the path that conserves resources. His teachings guided me to focus on promoting energy-efficiency by designing buildings that take advantage of the natural light, passive solar heating and well-designed air circulation. All of my architectural designs possess several of these qualities as I constantly search for ways to create beautifully detailed architecture, while minimizing the environmental impact of man-made structures. 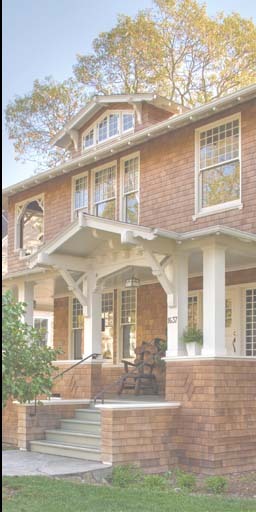 In the spring of 1983, I opened my architectural practice in Marin County, California. My design work has covered a wide variety of architectural styles, building types and sizes for commercial and residential projects. Also, through my own interior, furniture and product designs, I often complement and broaden my clients’ expectations of their projects. I take enormous pleasure in collaborating with my diverse clientele, in the opportunities to introduce them, and builders, to new ideas, and in sharing my passion for seamless design continuity. Besides the excitement that the design of a new building brings, I greatly enjoy giving new life to historical structures, with the endless attention to detail that they require, and the opportunity of conserving resources through reuse of materials. As a Certified Green Building Professional, I take a special interest in working with affordable technologies that preserve the environment. One of my primary goals is to design environments that reflect my clients’ visions and aspirations while guiding them towards “zero energy” consumption. Out of all my early experiences and a twenty-five year architecture and interior design practice, I have come to view each building as a stage-set where peoples’ lives unfold. Understanding and assessing a client’s needs are the keys to design success, because I feel that a building should be as unique as the individuals that live in it and should provide a personal, comfortable and safe haven for their lives and their daily activities to take place. The home, more than any other building, represents the pinnacle of what I strive to create in any building for each of my clients—an environmentally conscious dwelling that suits their personal lifestyle.